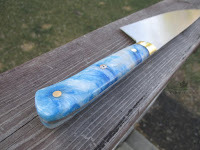 This is another 8" chef knife made from AEB-L 3/32" stock that is from the KN41 full tang pattern which I will post soon. 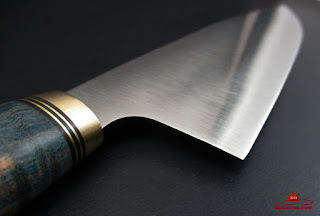 The blade is symmetrical flat ground down to 0.015" and then a 17° (per side) cutting edge was formed. 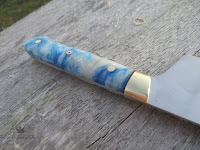 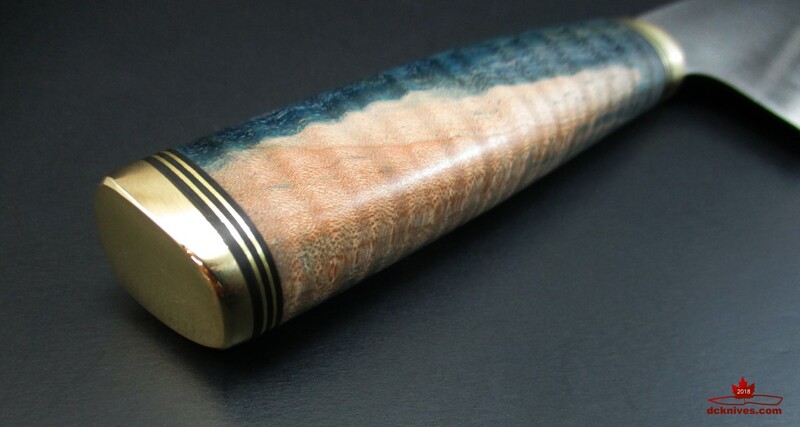 The bolsters are brass and the scales are Blue and White Acrylester #36 from Wood and Acrylic Supply. The pins are 3/16" brass and a center mosaic. 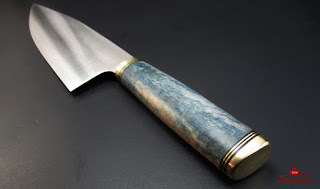 Coming up is another chef in Nitro-V.